Paddlesports is one of the fastest growing forms of recreational boating in the United States. The Outdoor Industry Association reported in 2008 that about 17.8 million people participated in some type of paddlesports activity getting out on the water more than 50,000 times daily. With nearly one half million paddlecraft being sold annually, the US Coast Guard anticipates that by 2020 as many as 47 million paddlers will be using paddlecraft for touring, physical exercise, fishing, hunting or other activities. With an investment of just a few dollars people can gain access to the nation’s waterways and therein lies the problem. Most of these paddlers lack experience. They overestimate their skill level and fail to properly assess environmental conditions. Worse yet they often lack the proper safety equipment and the training needed to use that equipment to stay safe on the water. Consider as well, the potential for conflict as this multitude of paddlers interacts with all manner of motorboats, sailboats, and commercial vessels navigating the same nearshore waters. The paddlesports community thus becomes fertile territory for the Sea Scout program. Unfortunately, the explosive growth of this segment of recreational boating has led to a disturbing upward trend in the number of injuries and accidents. Between 2005 and 2009 the Coast Guard found that canoe and kayak fatalities rose by nearly 70 percent. The sad part is that this loss of life could have been avoided with proper education. Most paddlers want to learn to how to be safe on the water, but don’t know where to go to get the necessary guidance and training. This creates a tremendous opportunity for the Sea Scouts. Although the potential audience is quite large there is little doubt that effective safety training and counseling will lead to a marked reduction in the number of paddlesports accidents and fatalities. Initially, the workload will be significant, but remember all of those paddlers have the potential to become Sea Scouts and leaders easing the burden of this new endeavor. 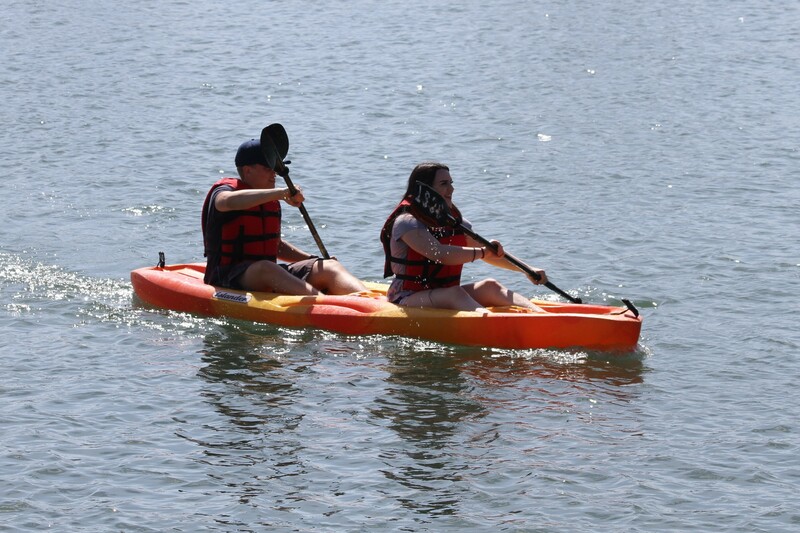 The American Canoe Association (ACA) and the U.S. Coast Guard Auxiliary promote safety among those who use kayaks, canoes and other paddlecraft. The agreement establishes cooperative efforts broadening outreach and education to the paddle sports community. Paddlesports boating is one of the fastest growing recreational activities in the United States. This presents an opportunity to support Sea Scout paddling.